Find the best place to kick back and relax when you go from pier to pillow. Check your cares at the front desk and explore the oceanfront Pan American Hotel. A stay with us is your boarding pass to bask in the sunshine around our stunning pool by day and enjoy the vibrancy of Wildwood by night. Set sail for adventure with luxuriously appointed accommodations as your port of call. 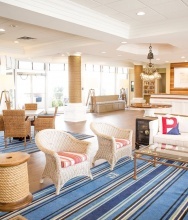 Chart a course for family fun and relaxation at the Port Royal, located on the pristine beaches of Wildwood Crest. Experience classic Americana couture and artfully crafted award-winning architecture when you book your vacation at the retro Starlux Boutique Hotel. 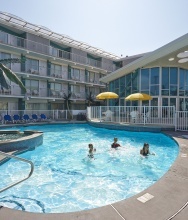 Take your vacation back in time to the Doo Wop era with this exciting home base for your Jersey Shore vacation. 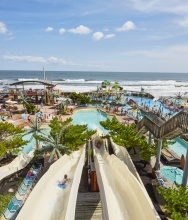 Live the classic Jersey shore vacation surrounded by fine dining, lovely shopping, vibrant nightlife and the vast white sand of the Wildwood beaches and boardwalk. Turn warm summer nights into lasting memories when you step into this ideal summer getaway. Escape to paradise in the Jersey Shore’s Premier Oceanfront Resort Community featuring world-class amenities and set on 17 oceanfront acres. Extend the fun of your group outing beyond the water parks and amusements. 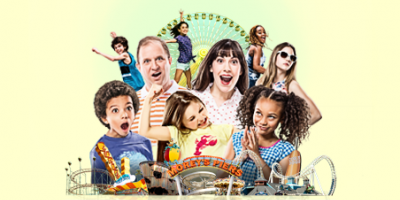 Stay overnight at one of our Morey Resorts properties. Our properties offer a range of amenities and price points.